Øyvind Schanke has been appointed as CEO of Norwegian manager Skagen starting 1 February 2017, marking the latest transition of senior executive roles at the Stavanger headquartered firm. 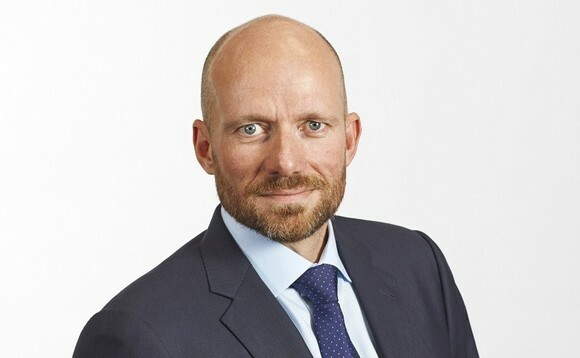 Schanke (pictured), joins from Norges Bank Investment Management – the manager responsible for day-to-day running of Norway’s Government Pension Fund Global, the sovereign wealth fund that is one of the world’s biggest equity investors – replacing Leif Ola Rød who has been CEO of Skagen since 2014. At NBIM, Schanke was chief investment officer for Asset Strategies of the fund from 2014 on, responsible for global management of the equity and fixed income portfolios. He has been at NBIM since 2001. Currently based in London, he is set to relocate to Stavanger, having been described by Norwegian business daily Dagens Næringsliv as being on a mission to make Skagen “shine again” after seeing its assets fall “from about NOK120bn to NOK80bn”. That said, DN also quotes his view that Skagen is one of the two biggest success stories of Norwegian fund management, alongside NBIM. Leif Ola Rød previously was replaced as Skagen’s investment director in April this year, after an interim period, when the manager appointed Alexandra Morris to the role. She joined from DNB Asset Management, where she had been CIO since August 2015. Rød and Morris have a common history through Odin, another Norwegian manager, where she was a senior portfolio manager for two European mutual funds between 2004-15. Before joining Skagen as CEO in 2014, Rød was CEO at Odin betweeen 1998-2012; he first joined Odin as a portfolio manager in 1994, before becoming CIO and then CEO. In 2012 he joined Skagen as head of Business Support and Compliance before picking up the CEO reins in 2014. Rød will remain at Skagen until 1 March to facilitate the handover of the CEO role. Øyvind Schanke reiterated his view that he wants Skagen to be a “preferred provider of actively managed funds”.